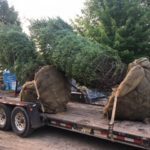 Arbor Hill Tree Farm has a new method of planting Large 13-14 foot evergreen trees. 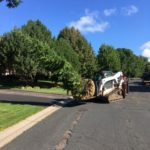 This new process can eliminate having to access the job site with a large truck mounted tree spade.This helps minimize turf damage and streamlines the planting process, saving us time. 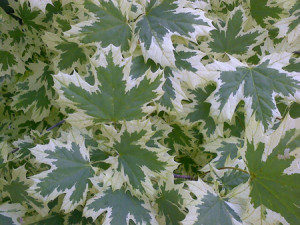 Because we can reduce our costs, we can offer the trees to our customers at a much lower cost. 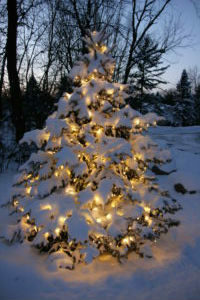 13-14 foot evergreen trees that are listed on the price list at $1395.00 can now be offered at $1095. Again this includes tree, delivery, planting and a 1 year warranty. We have included a series of photos to help describe the process. Please let us know if we can help you with adding some new beauty to your landscape in 2018. Arbor Hill Tree Farm is preparing for a new year. New this year is an updated website with a new format. The new format is called responsive. Basically meaning the website knows what type of device you are accessing it with and adjusts to fit that device. The site you see on a smart phone is smaller & narrower than if you are accessing on a tablet, laptop or desktop. We have chosen this format to make the site easier to view on a smart phone because the numbers show more & more customers view our site using a smart phone. For a view of the full site with much more photos, access the site with a device with a broader screen. We look forward to a great 2017. 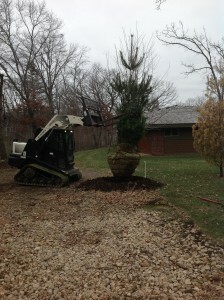 Winter Beauty in your landscape can be improved by adding evergreen trees. This photo was sent to Arbor Hill Tree Farm by a customer. 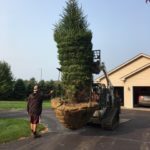 They selected the tree from thousands of trees growing in our fields in Cottage Grove, Minnesota. Once selected we used our turf friendly Terex skidsteer to plant at their site.The December snowfall on top of white Christmas lights made for a great photo opportunity. This photo is of a Black Hills Spruce. Black Hills Spruce are very hearty and native to Minnesota. 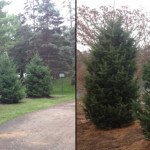 Many other evergreen trees are also great selections for your landscape in Minnesota. 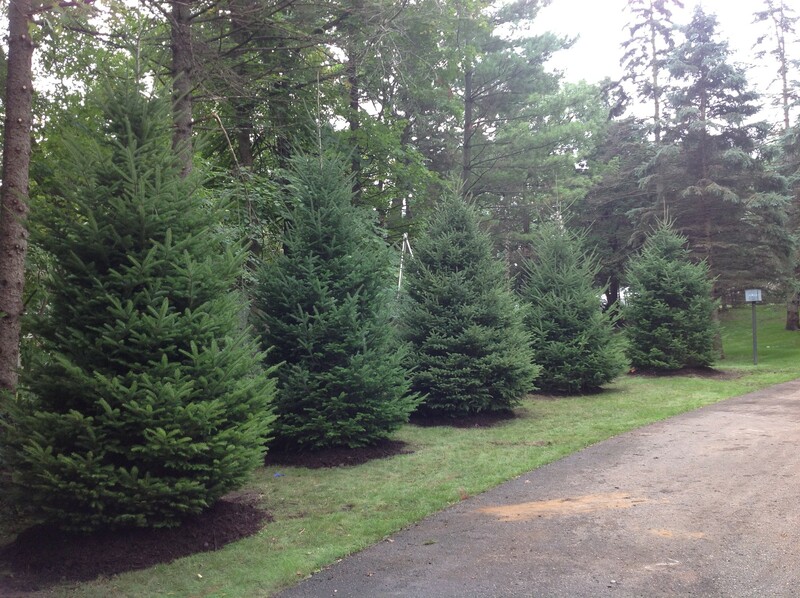 Colorado Spruce, Balsam Fir, Eastern White Pine are all great additions to a landscape. Balsam Fir is just one of many evergreens Arbor Hill Tree Farm grows, sells & plants for our customers. 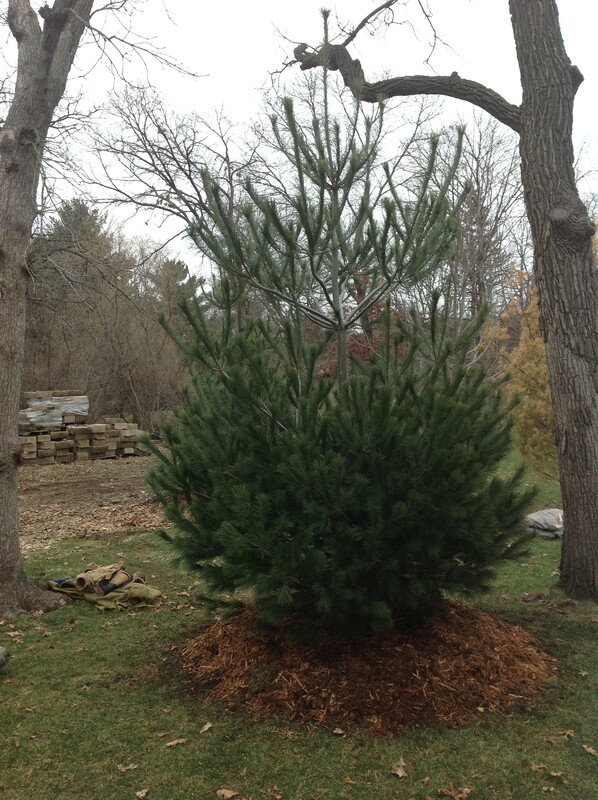 This tree is tolerant of partial shade & wetter soil conditions than other evergreens. Fall is a great time to plant trees. 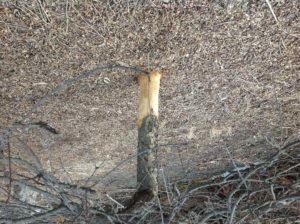 Evergreen trees are starting to go dormant & cooler temperatures make for perfect tree transplanting weather. 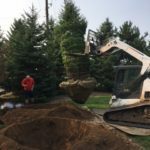 Other evergreen available in many sizes include Black Hill Spruce, Colorado Spruce, White Pine, Canadian Hemlock, Black Spruce, Austrian Pine, Fat Albert Spruce and others. 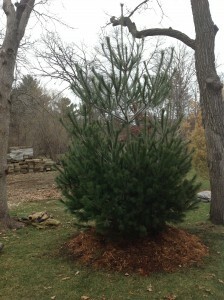 Check out our “Tree Specials Page” for $70.00 savings on Spruce. This entry was posted in Uncategorized on August 31, 2016 by admin. The last Friday in April is typically Arbor Day in Minnesota. The spring has been a mixed bag of warm & cool weather. Sales for trees have been very busy. WE appreciate all the customers that have placed orders. We will work hard to get your trees planted as soon as possible. HAPPY ARBOR DAY! This entry was posted in Uncategorized on May 1, 2016 by Jerry. Spring has sprung incredibly early this year. On March 10th the snow melted & frost is out. This is a record at Arbor Hill Tree Farm for earliest digging. Coupled with a record late date for planting ( December 21st, 2015), this has been a short winter. This entry was posted in Uncategorized on March 12, 2016 by Jerry. Trees for Bird & Wildlife Habitat. Fruit Trees Provide food in the Cold winter. 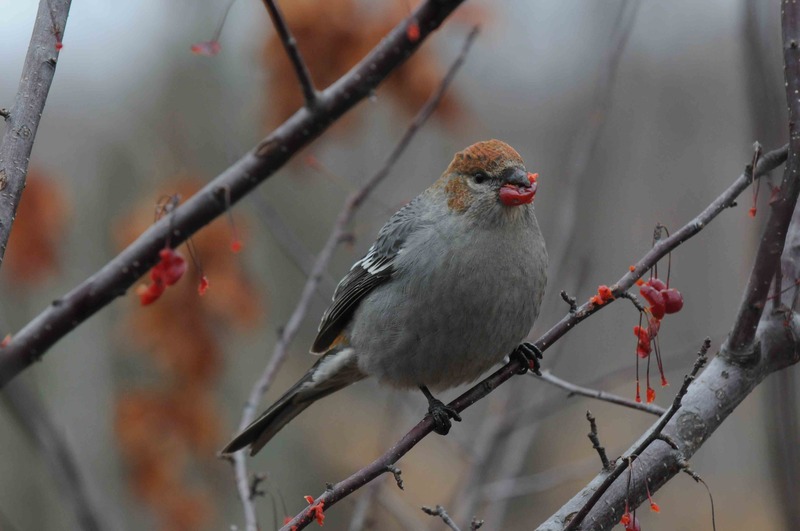 Birds & Wildlife benefit from fruit trees in your landscape every winter. Birds need food to survive the winter. Many types of Flowering Crab Trees produce small fruit that is not messy in your landscape & provides food for birds in the winter. Evergreen trees such as Spruce, Pine & Fir provide nesting sites for songbirds in the summer & provide cover from the extreme cold & wind in the winter months. This entry was posted in Uncategorized on February 2, 2016 by Jerry. 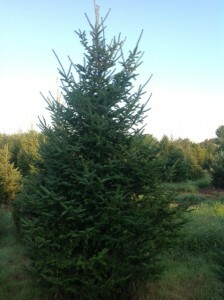 BALSAM FIR NATURAL SCREEN OR BORDER FROM NEIGHBORING PROPERTIES. 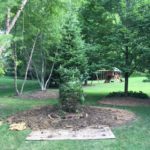 One of the most common uses of evergreen trees in a landscape or property is screening. 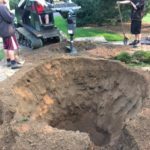 Many times individuals are looking to establish some privacy in their landscape. Others may have views to neighboring properties that are undesirable. Planting evergreens is a great way to establish these goals. The photo above shows a site Arbor Hill Tree Farm planted Balsam Fir Trees along the driveway, helping define the lot line from another property. 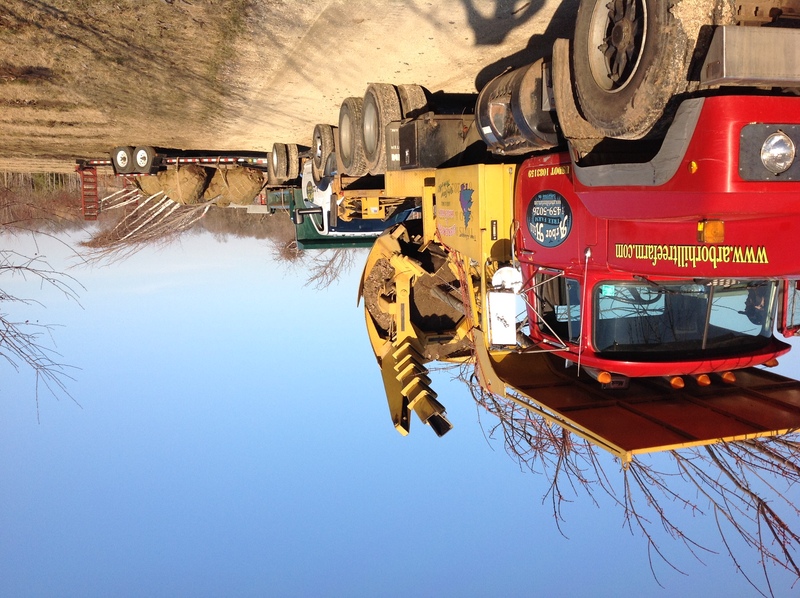 Arbor Hill Tree Farm has years of experience assisting homeowners with tree species selection, placement recommendations as well as full planting and installations and over 37 acres of trees in production. This entry was posted in Uncategorized on January 20, 2016 by Jerry. Its hard to believe but 2015 is just hours from being over. The snow & cold was slow to arrive, keeping the frost from making the ground hard. 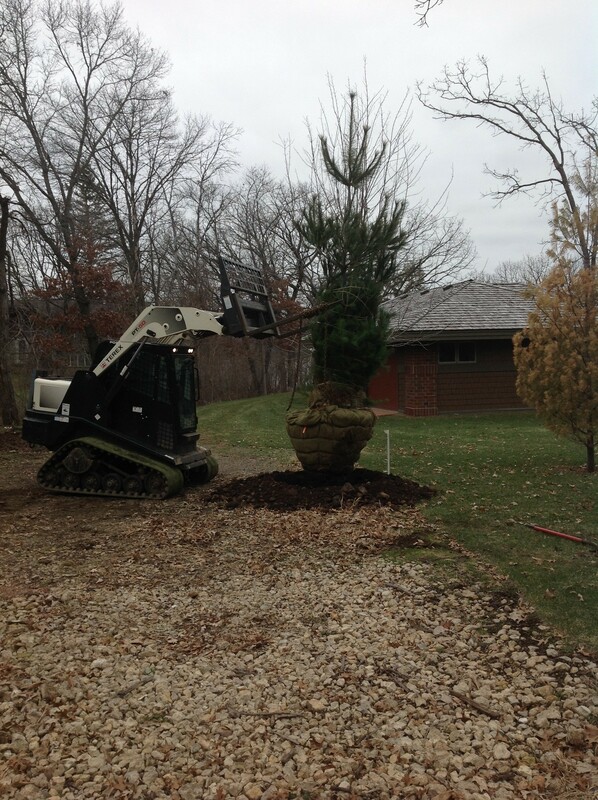 We had a late order & we were able to dig & plant 4 beautiful 12 foot White Pine in Bayport, Mn on December 21st, 2015. Definitely a record for the latest tree planting of the season at Arbor Hill Tree Farm. 2015 was a record sales year. Thanks to all our customers for making it all possible. We look forward to another successful year in 2016. This entry was posted in Uncategorized on December 31, 2015 by Jerry.